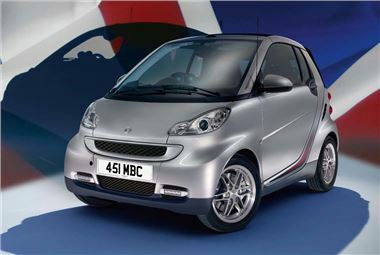 Smart is launching a new limited edition model, the Smart Fortwo gb-10, to celebrate 10 years of sales in the UK. Just 100 examples of the gb-10 will be built, each with its own numbered badging and all come in silver metallic paint with a special red design feature on the tridion safety cell. The mix of models consists of 50 mhd coupes, 10 mhd cabrios, 30 cdi coupes and 10 cdi cabrios. They all get a unique exterior and interior including Brabus Monoblock VII 15-inch alloy wheels, Brabus LED daytime running lights and third brake light, while the Premium interior package has been enhanced with the additions of the ‘gb-10' logo on the Brabus gear lever and handbrake. The unique ‘gb-10' logo features on the headrests of the Rosso red, heated leather seats and leather extends to the door panels, kneepad and handbrake gaitor. 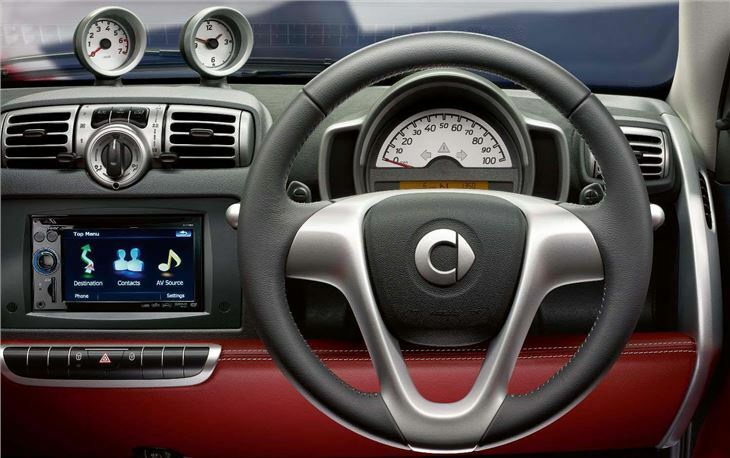 The upper dashboard is finished in contrasting black alcantara and the instrument surrounds in silver. Standard equipment includes a Pioneer AVIC-F910BT audio and navigation system, air conditioning, electric windows and a Panoramic roof. 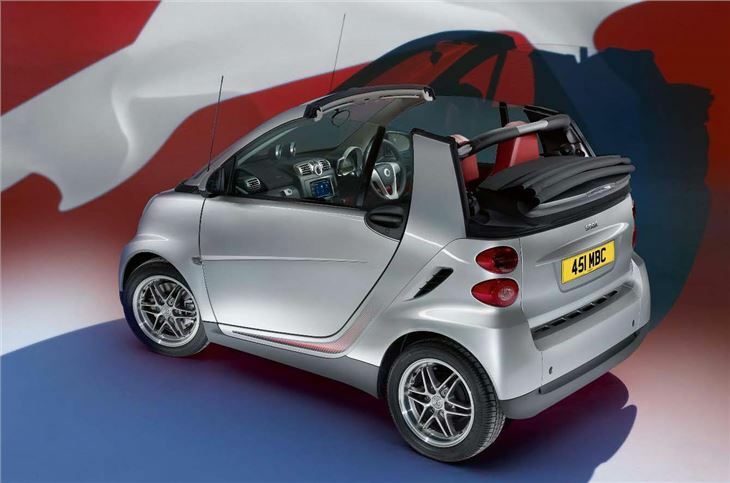 More than 75,000 smarts have been sold in the UK and the Fortwo gb-10, which costs from £10,695 on-the-road, will be on display at this year's smart festival on Saturday 4 September which is being held at Mercedes-Benz World at Brooklands in Surrey.